It is the end of June and we’re officially half way through 2015. It feels like 2015 only started yesterday! For the first half of the month I was doing my exams and for the second half I was fasting and also relaxing so I didn’t really do a lot however I did read quite a few books, watch quite a few movies and get a crap ton of books! 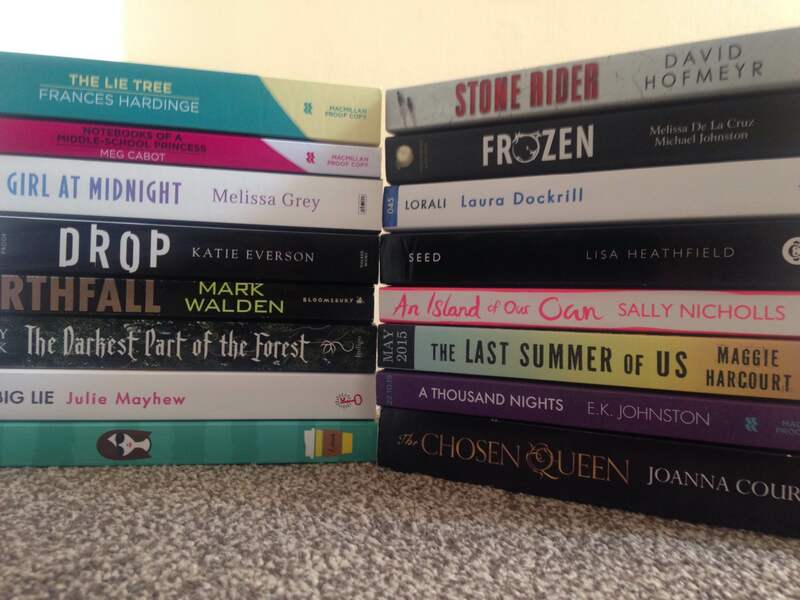 So here I am with my June wrap up. 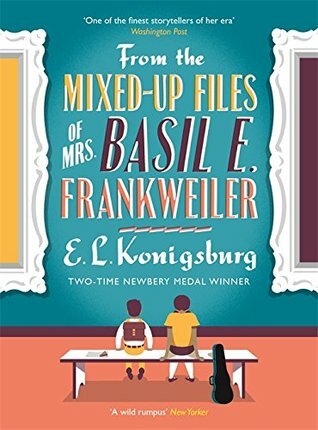 The first book I finished this month was From the Mixed-Up Files of Mrs Basil E.Frankweiler by E.L. Konigsburg(the longest title ever). I got sent this book to review and I really quite enjoyed it. It’s a children classic that has been out of print for 10 years but now they are publishing it again in a new beautiful version that I just adore. It’s a very cute and interesting read about two siblings. I did a whole review on it so click here to go see that. 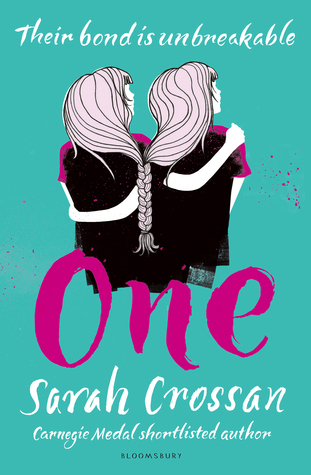 The next book I read this month was One by Sarah Crossan. I got this book on netgalley and I won’t go into much detail because I will be posting a full book review in July however just know that I completely loved this book. It is completely unique and different to anything I’ve ever read before and it moved me to tears. It was told entirely in verse so I read it very quickly but it definitely made a lasting impact. Look out for this one once it comes out in August. 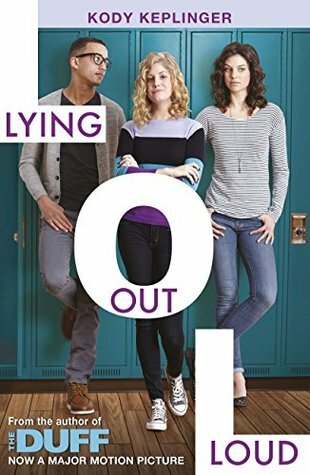 The third book I finished this month was Lying Out Loud by Kody Keplinger. I again won’t go into too much detail about this book since I also did a full review of this book(I’m on a roll with my reviews). I however did quite enjoy this book however it did have quite a lot of flaws. It was fun and easy to read thus I gave it 3 stars however click here to check out my review if you want to know more about my thoughts. 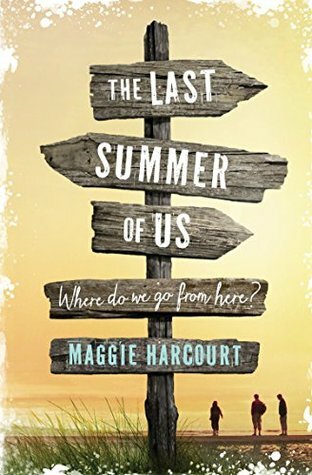 The next book that I finished in June was The Last Summer of Us by Maggie Harcourt. This book has been on my radar for a while now because a couple of months ago, quite a few British bloggers were getting copies of it for review. When I finally got my hands on it, I read it straight away. While I did really like it, I didn’t love it. I don’t know if this was because I had high expectations for it but there were just a few things about it that I wasn’t a fan of. The main character was slightly irritating and the writing at times was just too chatty so I didn’t love it however I did give it 4 stars. I probably won’t be writing a review on it because I just don’t know if I have enough to say to warrant a review. 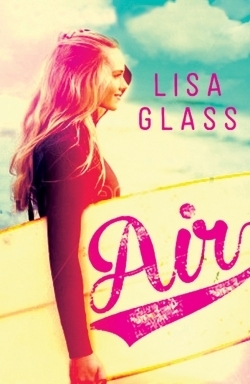 Next I read Air by Lisa Glass. This is the sequel to Blue which I read back in February. The lovely and amazing Lisa Glass sent this to me for review so thanks Lisa! I really enjoyed this one probably even more than Blue. I felt like it was a very good sequel and I cannot wait for the third book in this series even though I have to wait a year. I ended up giving this book 4 stars and if you want to know more about my opinion of this book, click here to go see my full review. 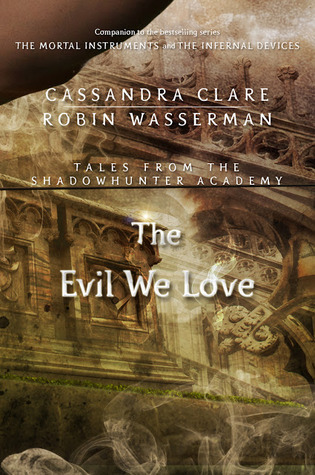 I then read the 5th novella in the Tales from Shadowhunter Academy series which was The Evil We Love by Cassandra Clare and Robin Wasserman. This is probably my least favourite book in this series so far. Not that it wasn’t good. It just wasn’t as good as the others in the series. The story jumps in time from 1984 to present time and I much preferred reading about present time(because of certain characters) compared to 1984. The 1984 section was also narrated by Robert Lightwood and I just could not like that guy. He really irritated me so that’s why I only gave this one 3 out of 5 stars. 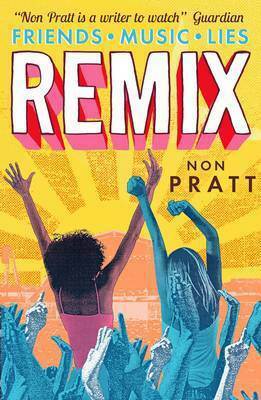 The 7th book I read this month was Remix by Non Pratt. I really loved this book. It was fast, quick read but it was absolutely amazing. It has been getting a lot of rave reviews so far and it definitely deserves them. Non Pratt writes books that are just so raw and realistic and I love them. I can’t wait to read any other books by her because I’ve completely loved both of her books so far. I wrote a whole review on this book so if you want to know more, click here to go see my review. 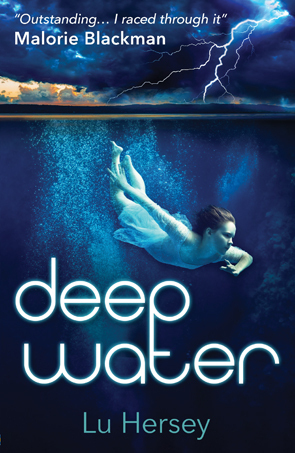 The final book that I finished was Deep Water by Lu Hersey. I received this book in exchange for a review from Usborne so thank you to them! I absolutely loved this book. I had not expected to love this book as much as I did but damn it was brilliant. It was so different and unique compared to anything else I’ve ever read so I really loved it. I would talk more about this book but I wrote a whole review of this book so click here to go see that. I then bought a boxset of the three Lord of the Rings books because I absolutely love the movies so it’s shameful that I’ve never read the books. Plus the boxset is so pretty and I found it in a charity shop, in perfect condition for £5. On top of that my friend also gave me a copy of A Thousand Splendid Suns by Khaled Hosseini as I’m studying it next year so I have to read it over the summer and she had a spare copy. Also, my friend Michelle from Tales of Yesterday borrowed me her copy of The Next Together by Lauren James because she knew how excited I was to read it. 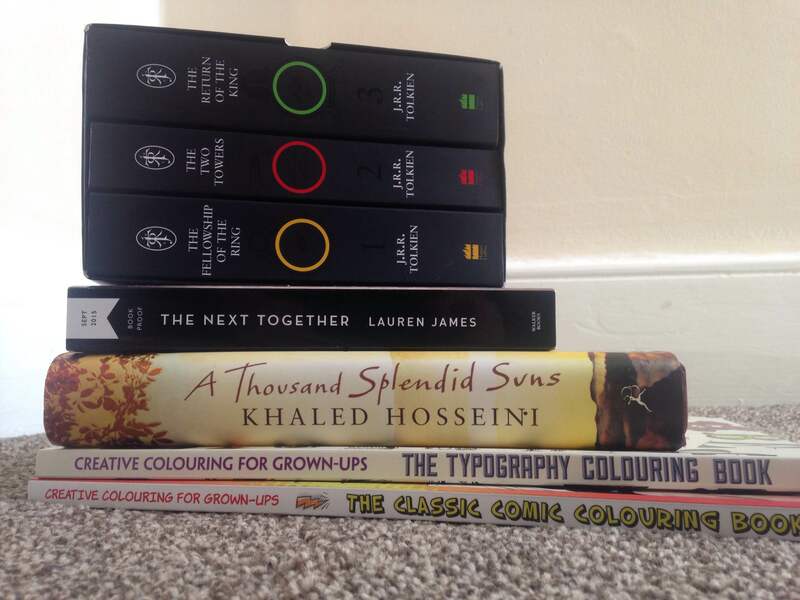 Michael O’Mara Books also sent me a typography colouring book and a comic colouring book to review so thanks a lot to them! The first film I watched this month was Chak De! India(Go India). I loved this film. It focuses a lot on gender equality in India and it criticizes their society. It’s extremely good and interesting with great acting and directing. I think it was amazing personally and I think a lot of people would enjoy it. I then decided to rewatch a film and that was Namastey London. This film is quite a weird one that was fun to watch but it wasn’t that great. I remembered liking it when I was younger but after rewatching it, I’m thinking back to how silly past Sofia was. It is fun and Akshay Kumar was great in it however I didn’t really like Katrina Kaif in it and the story itself had issues with how it flowed. After my exams finished I decided to finally watch the film I had been wanting to watch for months now and that was My Name is Khan. The reason I didn’t watch this film during exams was because I was told that it would make me cry and I wanted to be emotionally stable for my exams. Thank god I watched it after exams because I cried like a baby. This film is perfect in my opinion. It was the last of Karan Johar’s directed films that I needed to watch and it is a very close second behind Kabhi Khushi Kabhie Gham for my favourite movie of all time. It deals with terrorism and I just think everyone needs to watch it. It taught me so much about racial discrimination and what it was like to be a Muslim in America after 9/11. I honestly can’t recommend this film enough. It is bloody amazing and perfect in my opinion with great acting, amazing directing and just an absolutely stunning story. I then watched Na Tum Jaano Na Hum(Neither You Know Nor I) which is a romance movie about two people who write letters to each other without disclosing who they actually are. I thought this movie was okay. The story had a lot of potential but the way the director went with it just didn’t work for me. Most scenes just seemed choppy or odd and they didn’t really fit together very well. On top of this the songs weren’t that great as well. The actors were quite good, especially Hritihik Roshan but I don’t really recommend this film. For some weird reason, I then decided to rewatch Yeh Jawaani Hai Deewani(This Youth is Crazy). This was not a conscious decision but for some reason when I saw it, I just wanted to watch it again. I won’t talk a lot about this because I already mentioned in my Bollywood movies post and my Bollywood recommends page but just know that I really liked this film. The more I think about it, the more I like it. The sixth film I watched this month was another Bollywood movie(obviously) and that was Happy New Year. This is a fairly new release and it is about this group of guys who decide to do the world’s biggest heist in order to steal diamonds from the guy who wrongly imprisoned their father. In order to do this, they have to enter the world dance championships so as well as planning their heist, they also need to learn to dance. This is not the type of film that I normally watch but it had some of my favourite actors in it and Farah Khan directed and wrote it and I generally quite like her movies. I ended up really enjoying this film. It was hilariously funny and deeply entertaining. I do recommend this movie but it is not a romance so I can’t add it to my Bollywood romance recommends page. I then watched Gori Tere Pyaar Mein(Beauty in Your Love) on Netflix. This is about a “player” who falls in love with a social activist. I quite enjoyed it actually. It hasn’t got amazing reviews but I thought it was a fun film and I really loved the second half of the film when they are helping to build a bridge in a village. It had two actors in it who I’ve come to admire so they were part of the reason I watched it but the main reason is that it is produced by Karan Johar who is quite quickly becoming my favourite person in the movie business. I do actually quite recommend this movie but it wasn’t amazing. It had some flaws but it was still good. The next film I watched was actually a movie in English! I watched Legally Blonde 2: Red, White and Blonde on Netflix. I’m pretty sure that you all know the story of Legally Blonde so I don’t need to explain the story. I’ve always loved the first Legally Blonde but I’ve never seen the sequel which is quite weird. However, after watching the sequel I was unimpressed. I mean I guess it was okay but it had a lot of flaws and it was quite stupid. I loved the first one but the second one just did not live up to it. The last film that I watched this month was another Bollywood movie(shocker) and that was Taare Zameen Par(Like Stars on Earth) which is about a kid with dyslexia who constantly gets told off and ridiculed but then an art teacher comes along and helps him improve and helps people to see him for the bright boy he is. I absolutely loved this movie. I had heard about it previously and it sounded like a great heart warming movie to watch and it definitely was. Parts of the first half made me quite sad as he was getting harassed for not being able to read or write but the second half just made me so happy. I really loved this movie and I highly recommend it. In early June, I went with my best friend to go meet her favourite author, Ally Carter. I had only ever read her short story in My True Love Gave to Me but I still really loved the event simply because she was so funny and down to earth. While she was signing, she asked everyone about their lives and what they were like which is something that most authors don’t do. She has definitely inspired me to go read all of her books now especially after the way she talked about them. Yep again, none of them got ticked off! I haven’t really watched any TV shows this month except Empire. Empire is a brilliant show that I love. At the moment, it is the World Dance Medley from Happy New Year. Kabhi Khushi Kabhie Gham obviously. I finished my exams and I had my last day at the school forever as I’m going to a different college next. So that is all I did in June. In July I hope to read a lot and watch a lot of movies as well so my July wrap up will probably be longer. 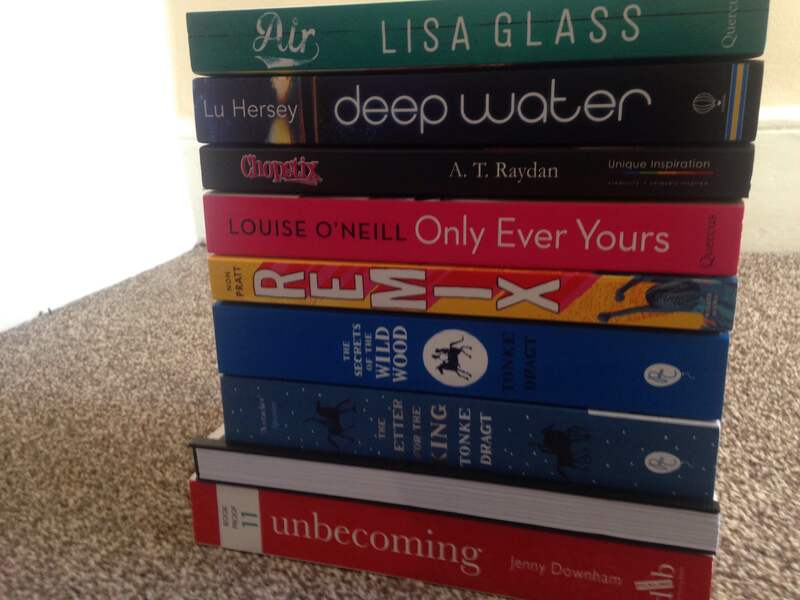 What was your favourite book that you read this month? Let me know down in the comments.